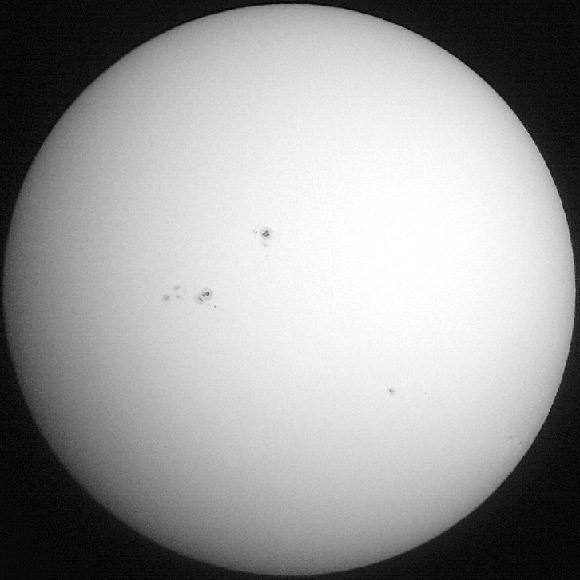 With my newly constructed solar filter at 8" diameter, I set out to capture an image. So here it is. Looking through a thick humid sky at about 6:30pm, I got this image from a 1Mpx digital camera.